Well, not exactly. Actually, it was silver. Got a call a couple of years ago from a friend that owns a house dating to 1880 in a certain western state. 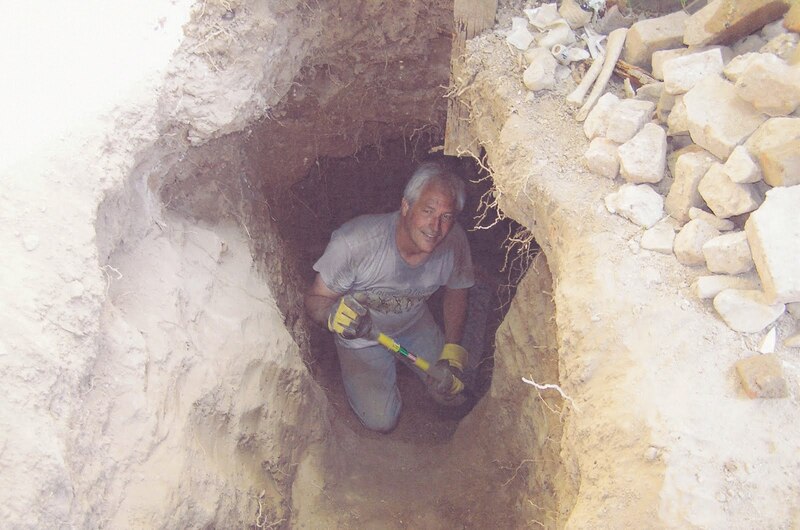 He found some funny looking dirt that had bones and rusty cans mixed in with it after he moved an old shed that had been there for forty or fifty years. Lots and lots of glass, ca. 1880's snuffs, wines, beers, beer mugs, cures, druggists, etc. etc. but no whiskies or bitters. What set this one apart was the coins. Lots and lots of silver; and still in good shape. The owner kept everything, but it was still a blast to dig. Looks like one of my typical "dry" holes. Few or no bottles, but loads of other stuff.